Make your home and block more beautiful! Our Beautiful Blocks program provides matching grants of up to $1,000 to help Scranton residents make improvements to their homes. Through the generosity of donors like you, we were able to provide the Schraeders with a new wheelchair ramp and home safety improvements. 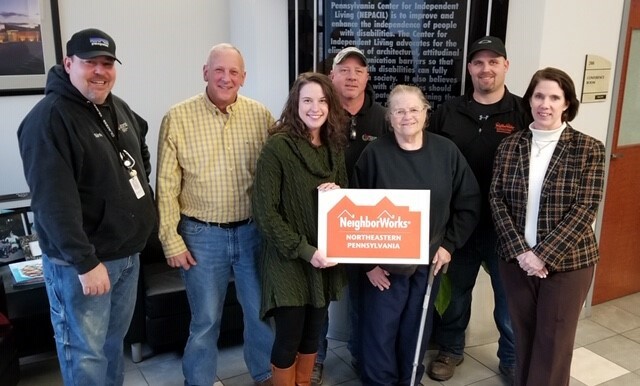 NeighborWorks revitalizes neighborhoods and creates opportunities for individuals and families to improve their lives through quality housing and financial guidance. We provide free homebuyer workshops and one-on-one counseling to prepare you to purchase your first home. We also rehab and sell homes to fund our other work. We help homeowners repair and improve their homes. We also provide wheelchair ramps and other home modifications to help seniors age in place. We rely on volunteers to make home repairs and clean up neighborhoods. Consider pitching in to improve your community. Improving lives and strengthening communities through homeownership. 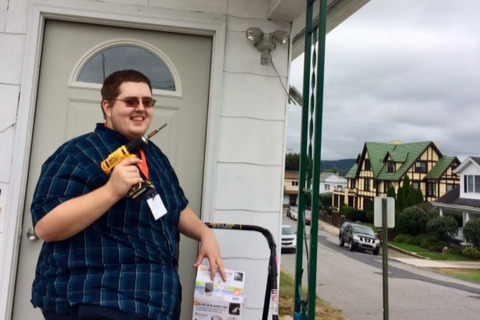 AmeriCorps VISTA Member Alby Black reflects on his first six months of service at NeighborWorks. As an Ignation Volunteer at NeighborWorks, you can help older homeowners live in their homes with safety and dignity. Veteran Richard Via and his wife, Betty, appreciate their new walk-in shower and the safety and dignity that it has brought to their daily lives.